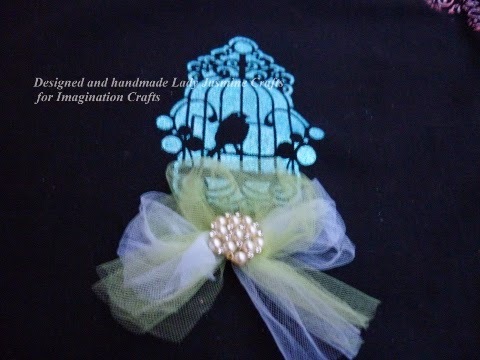 Today I am sharing my tutorial which will sit on my window sill for the Trick or Treaters when they visit this evening. 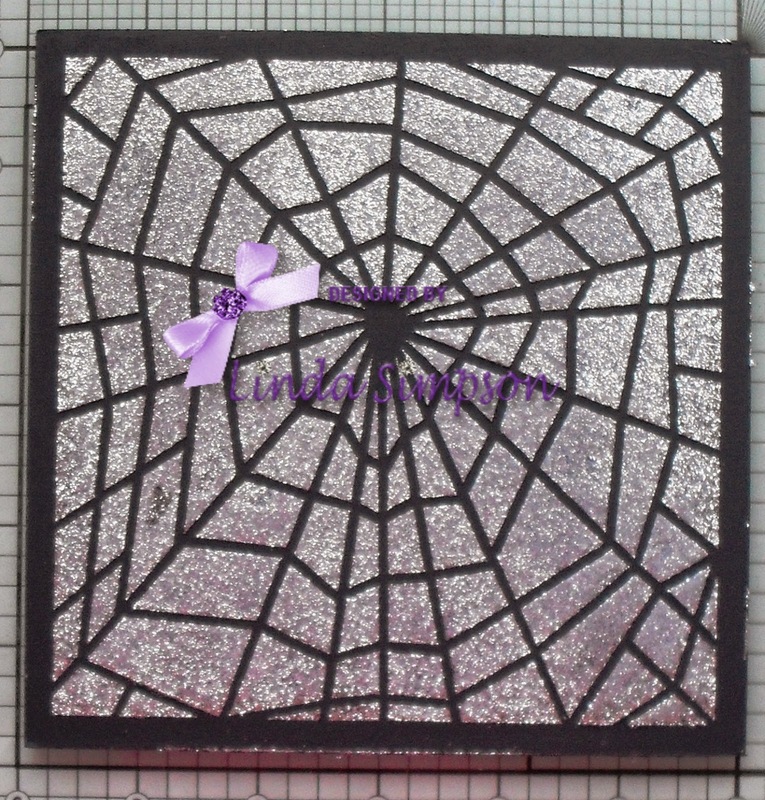 On the plaque with no aperture stencil the Spiders Web with Silver Sparkle Medium. On the aperture MDF plaque stencil the web from the Pumpkin Stencil. Once the spiders web is dry stencil the spider from the Pumpkin stencil. 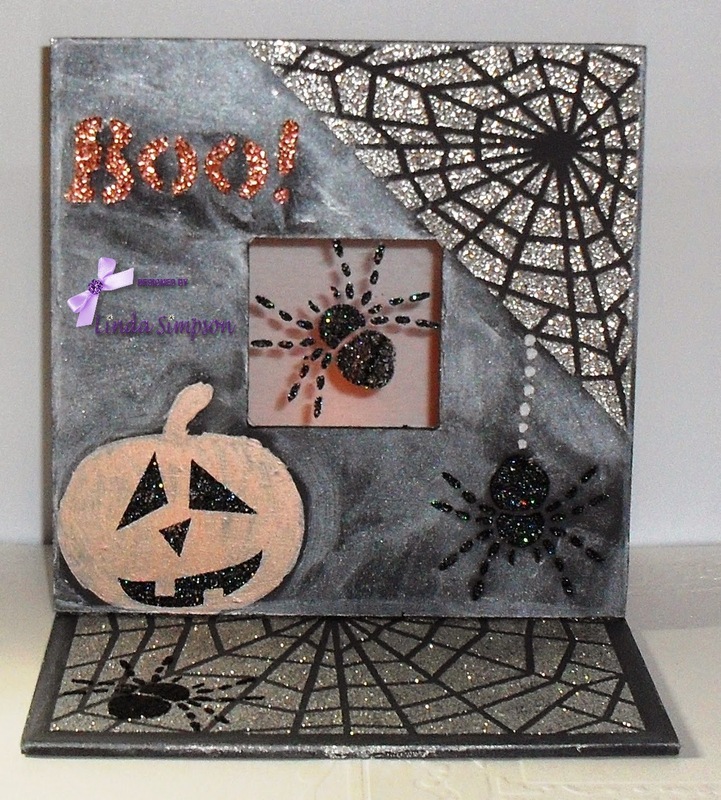 From the Pumpkin Stencil and using Silkies Satin Blush paint the pumpkin, once this is dry stencil the face using Black Stars Sparkle Medium, Stencil the spider with Black Stars and Light Copper for the word Boo! 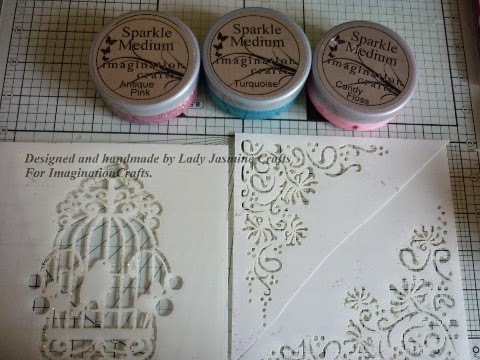 Once all the Sparkle Medium has dried add Silver Satin Silkies onto the plaque. 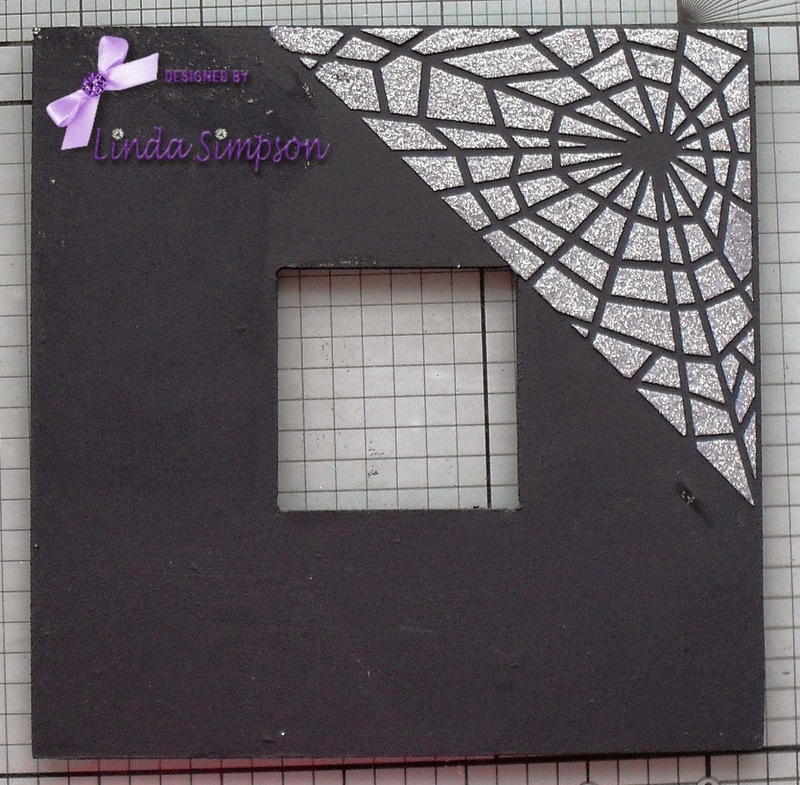 Attach the Spider which has been stencilled onto acetate at the back. 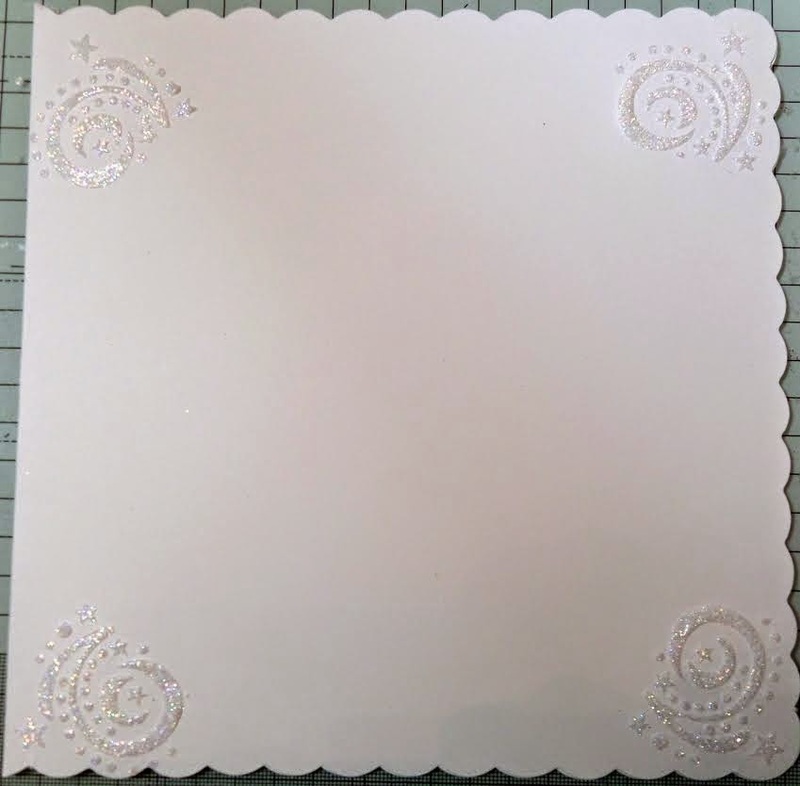 Glue the aperture plaque to the base using hot glue gun. 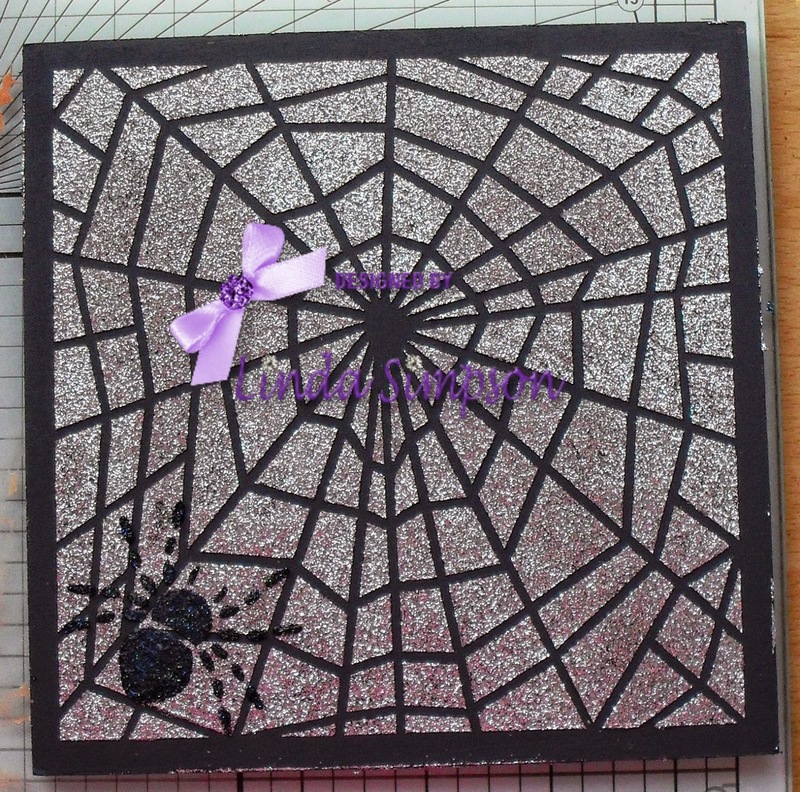 Place a tea light at the back which glows through the acetate spider. 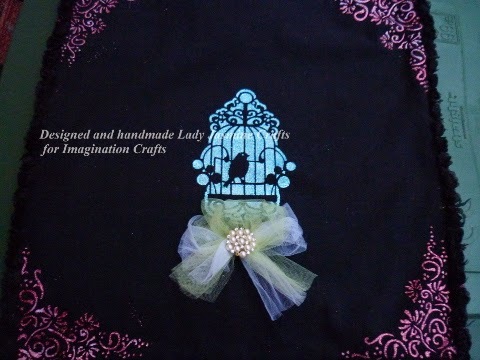 Today we have a beautiful tutorial by Cheremane to share with you. 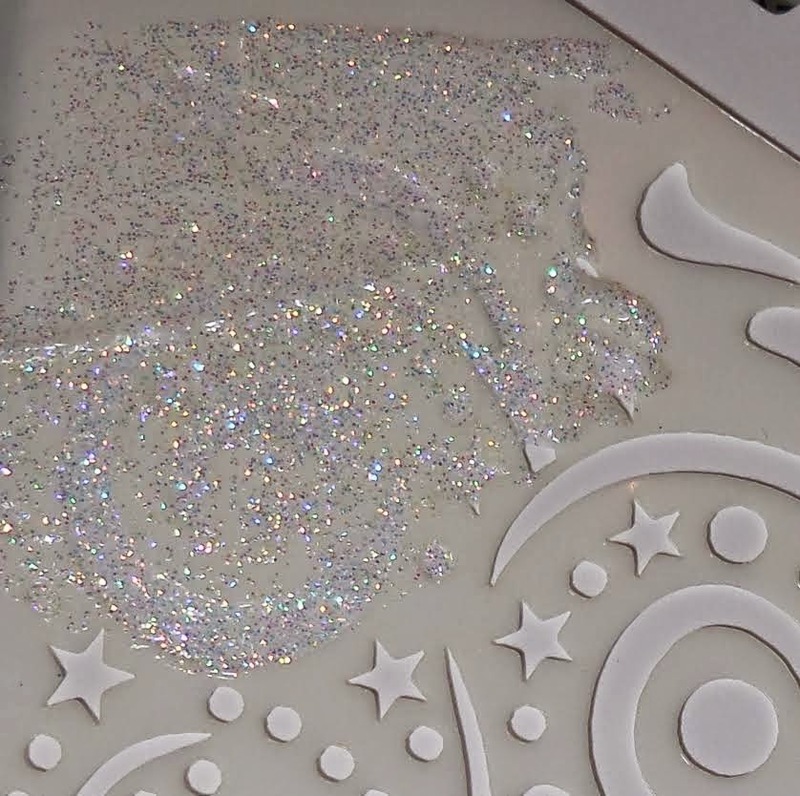 Place part of your stencil on the corner of your card blank and spread over your Diamond Sparkle Medium on the area of the stencil you want. Do this to all four corners. 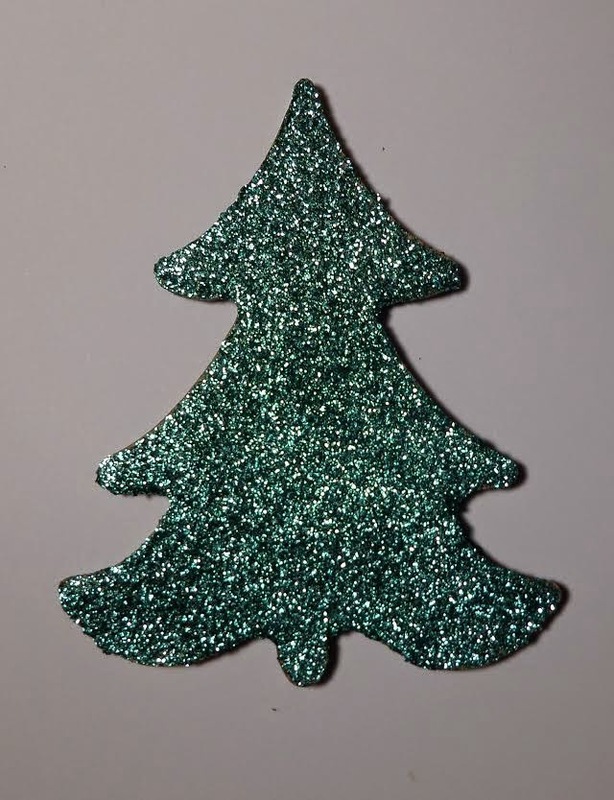 Take the MDF Tree and cover with Jade Sparkle Medium and leave to dry. 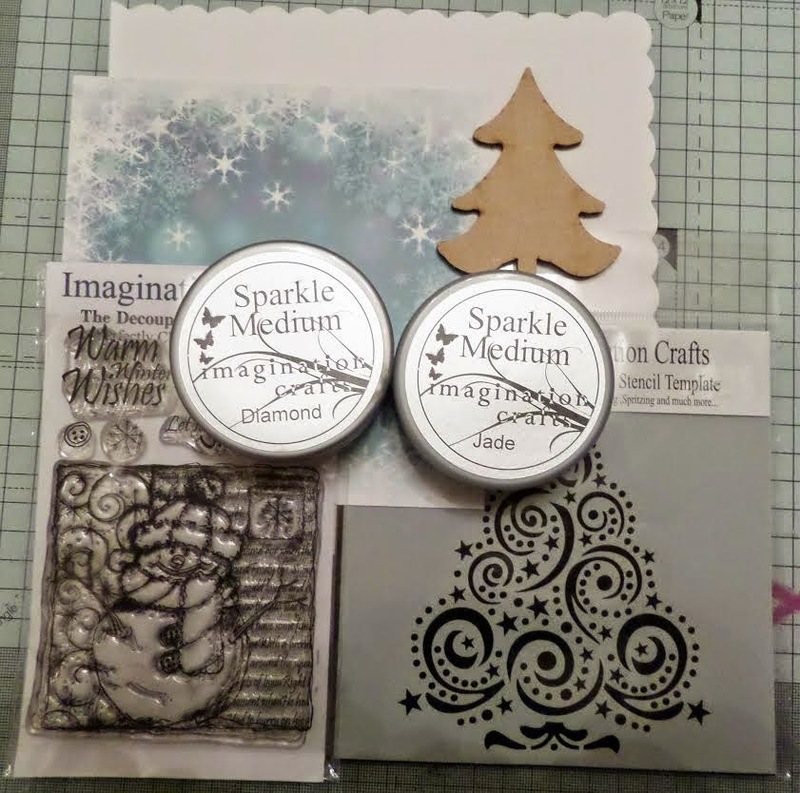 Mat your 6 x 6 patterened card onto some contrasting cardstock and stamp Warm Winter Wishes from the Snowman Decoupage Stamp set. 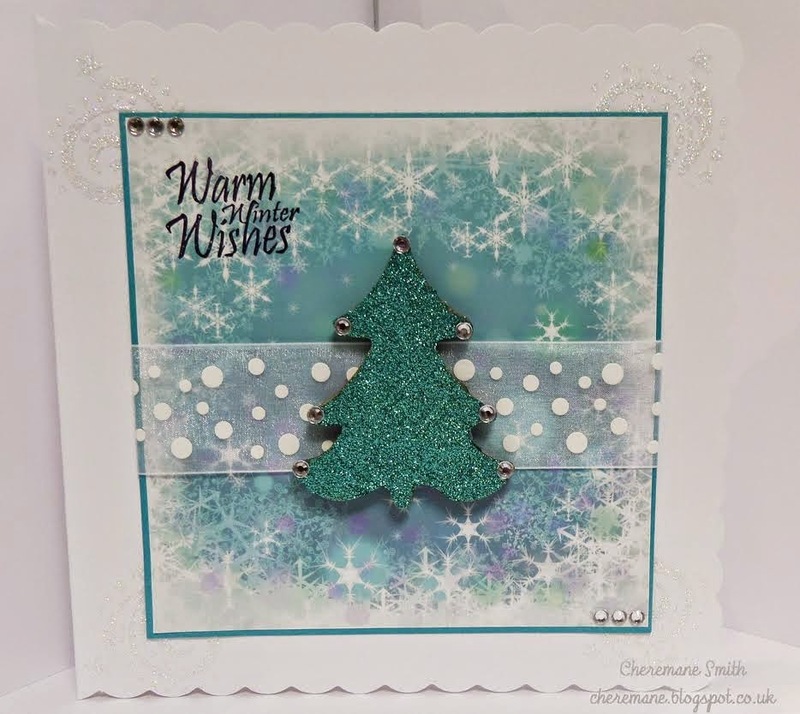 Wrap your ribbon around before placing onto your cardblank and then place some gems onto the tree before placing ontop of your ribbon using glue gel to raise it up from the card. Finally add some more gems. 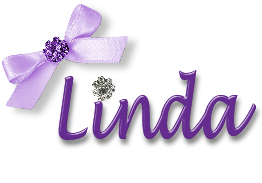 Thank you for all who stopped and said hello at the SECC at the weekend. Back at HQ and busy getting ready for the NEC next week. 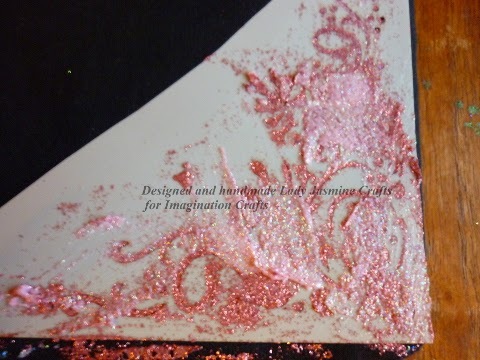 Today we are sharing Nicky's Tutorial. 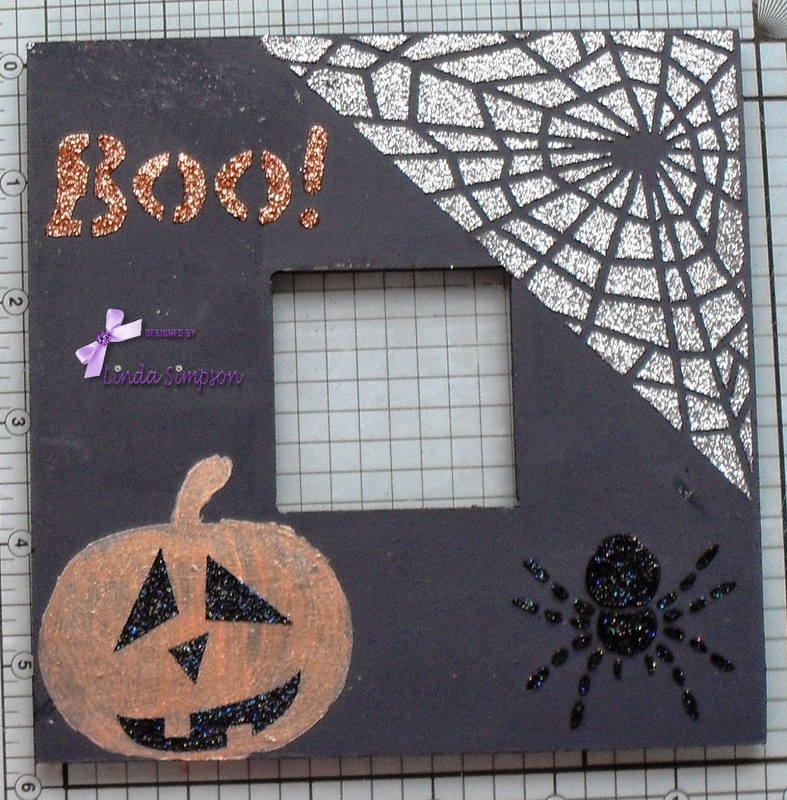 Paint a square canvas with black acrylic paint. 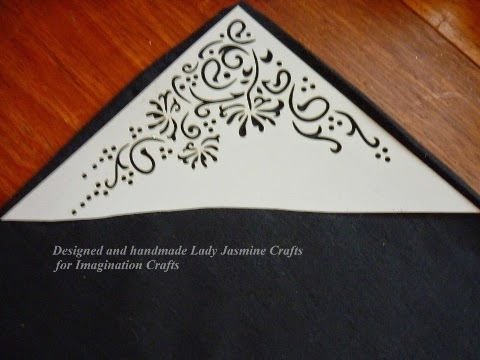 Trim around the edges of the canvas with black rose trim.